In the summer of 1994, a small Greek family established a Pizza business in southwest Philly. Their success has very well been recognized since then in the local community for their outstanding quality service. 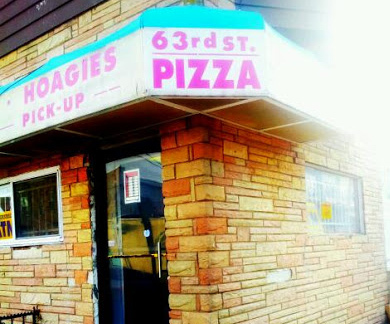 Many ex-residents from the neighborhood still migrate over to 63rd Street Pizza to enjoy a heavenly bite! Enjoy our wide selection of Value Meal specials! Check out our Menu for more details! Try our delicious Pizza made daily with fresh dough and our homemade style sauce topped off with our rich tasting mozzarella with your choice of toppings! 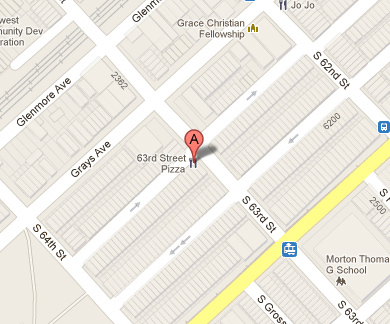 © 2013 63rd Street Pizza, PJ Pizza inc. all rights reserved. Developed by Phantasia Studio LLC.